Look at the changes that happen in our dental practice and the impressions of the patients that no longer have to cover their smile and now radiate with confidence. Get to know the influence that a renewed and a shining bright smile has on the people via videos of our patients in our gallery. Notice the difference that happens between the “before“ and “after“ moments. Delight of others with their new smiles will make even the most fearful people brave enough to solve their dental problems. Non-metal crowns can give an aesthetic and satisfactory form to a damaged tooth or tooth with an irregular shape, so it is possible to completely restore a smile just with crowns. Non-metal crowns are used in combination with dental bridges, and nowdays are the best option to restore the beauty and functionality of your teeth without the use of screws. Non-metal crowns are completely unnoticeable. Complete toothlessness can be solved using implants, in two ways. The first option is simpler and more affordable – it is a procedure of implementing 3 or 4 dental implants and fixating a complete acrylic prosthesis using locators onto the implants. Another option is fixed implant procedure (implants in the true sense of the word). This entails placing 6 to 8 dental implants per jaw and making up to 12 dental crowns per jaw. The comfort of the patient and the functionality of the teeth is much higher with option 2, and teeth are more natural, as you can see in our gallery. Implant anchored dentures are a very effective way to solve problem of complete or partial toothlessness. Fewer screws are needed than in solving a problem of dental lack with implants, making the process more favorable. See some of the photos taken before surgery, during surgery and after successful completion of the procedure. The difference between the implants and dentures can not be observed. Patients whose teeth are in very poor condition, or they do not have much teeth left, can hardly imagine a situation when they will have all their teeth again and is not always easy to convince them that it is a routine operation that a thousands of patients have already went through in our clinic. Look at the cases of successful installation of implants in a variety of situations, from a complete toothlessness to the installation of one implant between healthy teeth. 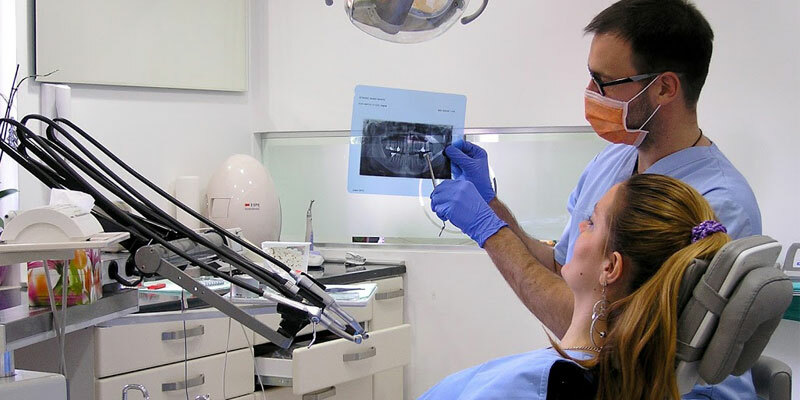 Since June 2015 dental loCvejanovic applies complete CAD/CAM dental procedures, which represent a quantum leap in the way that every procedure that involves making crowns, veneers and fillings is carried out and planned. It is a revolution that can be compared only with the upgrade of dental chairs in the fifties. CAD/CAM dentistry involves non-invasive 3D scanning of a jaw and the production of crowns at dental office on a basis of obtained measurements, so that the patient in a single treatment can get perfect crown without a need for additional trials and corrections. Metal-ceramic dental crowns are the most common type of crowns, although they are gradually pushed of by new types of 100% ceramic crowns. 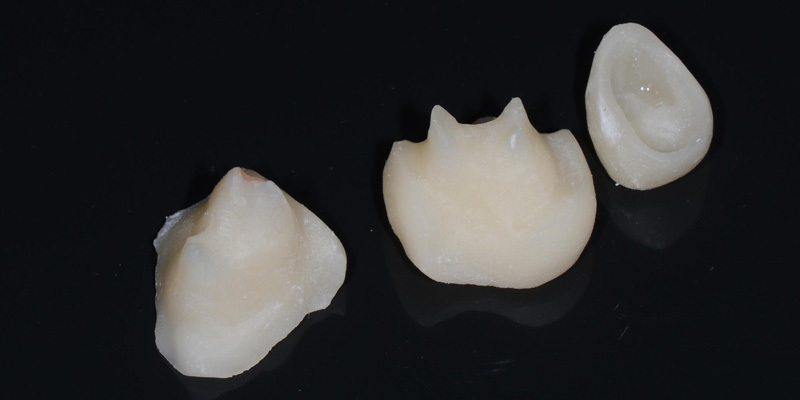 The advantages of metal-ceramic crowns are lower price and greater flexibility, which enables the production of longer bridges, while the disadvantages are mainly aesthetic and related to a smaller possibility of fine design and color that has a touch of gray. Many patients opt for ceramic crowns on the front teeth and for the metal-ceramic ones on the others. Dental braces use natural ability of teeth to have a micromovements, so that can set your teeth into a straight position in less than a year. No other dental technique is that noninvasive, elegant, simple and efficient as application of dental braces. Look at the difference in the appearance of both jaws before and after using braces – the difference is huge, it is hard to believe that it is only the effect of this dental tehnique. Implantation of veneers is a specific type of intervention, because it has the elements of both restorative and cosmetic surgery. Veneers are thin composite or ceramic flakes that are installed through the outer, visible surface of the tooth, which achieve an aesthetic effect and protect the tooth. Implantation of veneers is one of the most common procedures in cosmetic dentistry, which is applied only when whitening can not achieve all the desired results.